Obscure, indeed. Nestled comfortably atop the Cafe Du Nord in the Castro district of San Francisco, the Swedish-American Hall bears the definition of a “hidden treasure” proudly, coveting to a more eclectic, and dare I say mature, crowd. On this particular Thursday evening, the Hall hosted the Portland Cello Project and Amarillo, Texas-native Emily Wells. Touring the United States to promote her fourth and most accessible album, Mama, I know personally that an album — and much less a concert — by Wells is a rare, but precious, occurrence. 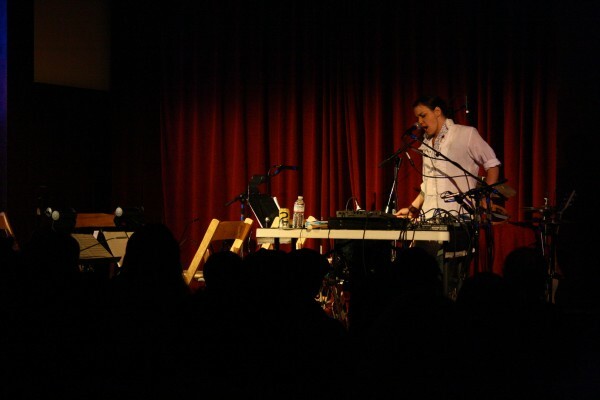 I first discovered Wells in 2009 following the release of her EP, Dirty, and soon after learned that she would be playing at UCSD’s The Loft. What happened that night in September was deeply inspiring. A friend and I sat on the floor, cross-legged and doe-eyed, literally an arms-length away from Wells as she played The Symphonies and songs like “Take It Easy San Francisco” and her legendary Biggie Smalls cover, “Juicy”. Since then I have been transfixed — obsessed — with seeing Wells perform live again. So as I sat in the Swedish-American Music Hall, which I likened to the infamous Beer Hall Putsch in Munich for its similarly hushed lighting and oaken wood beams, I prepared myself to be transfixed once more. Emily Wells climbed onstage with a gait and a smile, and launched immediately into “Mama’s Gonna Give You Love”, “Dirty Sneakers and Underwear”, and “Darlin'”. These songs were like practice runs, building up to a devastatingly thrilling rendition of “Let Your Guard Down”. She is notorious for being a one-woman show, a skilled multi-instrumentalist and a poignant vocalist, and for “Let Your Guard Down” she played electric guitar and sang, recorded it, then played violin and drums atop the recording, altogether composing a luxurious musical piece. This was the pinnacle of the show; it was a visceral experience, as I sat there, moved to tears, sweating ecstatically, worrying in the back of my mind that I wouldn’t be able to give her performance enough justice with the restrictions of mere words, that I wouldn’t be able to explain the flux and ease of her voice, how it went from that of a lilting muse to a Tom Robbins-esque cowgirl drawl in the moonlight. She transitioned next to The Symphonies, playing “Symphony 1 in the Barrel of a Gun” and “Symphony 2 & the Click Boom Boom” with the help of the Portland Cello Project. It was then that I realized how I had changed in the three years since I had last seen Wells — indeed, I just graduated college a few days ago — and how she has changed as well. Her voice is more practiced, wise, deep — free. Some women carry the agony and the ecstasy, the tenacity of femininity, in their eyes, their smile, a sigh; for Wells, it’s all in her voice. She is, by crude comparison, an under-appreciated Annie Clark; that is, her music and her art are extensions of herself, emotive and inspired as a rule. Wells’ creative process is seemingly labored, perfectionistic, shrouded in mystery — but it’s a beautiful mystery, and her performances peer into that process. 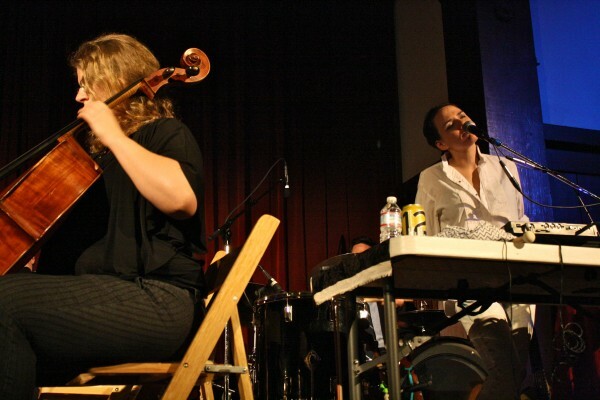 The Portland Cello Project continued performing alongside Wells for “Fire Song” and “Passenger”, composing long instrumental intros for both songs, and Wells ended strongly with her two crowd-pleasers, “Juicy” and “Take It Easy San Francisco”. “Juicy” was more cello and less attitude than I remember from 2009, but nonetheless elicited at its conclusion an anonymous “Oh my god” of appreciation from a member of the crowd. And this is fundamentally what a performance by Wells is all about — a reminder to feel. In the everyday bustle and grind, we often think too much, and feel too little; conversely, we don’t dare often enough to appreciate music like Wells’, music that can be beautiful, hopeful, promising, yet in itself communicate the complexities of the world’s pain. She’s a musician for those with a rich palette, for those who value the development and growth of an artist over popularity or trend. In the years to come, I look forward to seeing where her music will go, and also, where it will take me.